^ Thomson, Peter. Shakespeare's Theater. London: Routledge & Kegan Paul, 1983, p. 94. ISBN 0-710-09480-9. ^ Torbarina, J. "The Setting of Shakespeare's Plays." Studia Romanica et Anglica Zagrabiensia, 17–18 (1964). ^ Donno, Elizabeth Story, editor. Twelfth Night, or, What You Will. Updated ed. Cambridge: Cambridge University Press, 2003, p. 7. ^ Caldecott, Henry Stratford (1896). Our English Homer, or, The Bacon-Shakespeare Controversy: A Lecture. Johannesburg: Johannesburg Times. p. 9. OCLC 83492745. ^ a b Halliday, F. E. (1964). A Shakespeare Companion 1564–1964 (First ed.). Harmondsworth: Penguin. pp. 71, 505. OCLC 69117982. ^ Griffin, Alice (1966). The Sources of Ten Shakespearean Plays (First ed.). New York: T.Y. Crowell. OCLC 350534. ^ Laroque, François. Shakespeare's Festive World: Elizabethan Seasonal Entertainment and the Professional Stage. Cambridge University Press, 1991 [フランソワ・ラロック『シェイクスピアの祝祭の時空－エリザベス朝の無礼講と迷信』中村友紀訳（柊風舎、2007年）], p. 153. ^ Clayton, Thomas. "Shakespeare at The Guthrie: Twelfth Night" in Shakespeare Quarterly 36.3 (Autumn 1985), p. 354. ^ a b Shakespeare, William; Stephen Greenblatt; Walter Cohen; Jean E. Howard; Katharine Eisaman Maus; Andrew Gurr (1997). The Norton Shakespeare (First ed.). New York: W.W. Norton. pp. 40, 1090. ISBN 0-393-97087-6. ^ Hodgdon, Barbara: "Sexual Disguise and the Theatre of Gender" in The Cambridge Companion to Shakespearean Comedy, edited by Alexander Leggatt. Cambridge University Press, 2002, p. 186. ^ Charles, Casey. "Gender Trouble in Twelfth Night." Theatre Journal. Vol. 49, No. 2 (1997): 121-141, p. 124. ^ Smith, Bruce R. "Introduction." Twelfth Night. Boston: Bedford/St. Martin's, 2001. ^ Lothian and Craik, p. 30. ^ Righter, Anne. 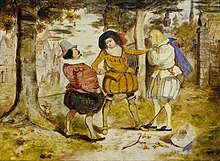 Shakespeare and the Idea of the Play. Chatto & Windus, 1962, p. 130. ^ Weimann, Robert. Shakespeare and the Popular Tradition in the Theater: Studies in the Social Dimension of Dramatic Form and Function, page 41. The Johns Hopkins University Press, 1978. ^ Kawai Shoichiro, "The Date of Twelfth Night", Shakespeare Studies [Tokyo], 38 (2000), 1–16. ^ アーデン版第3シリーズの序文では、年代について様々な説が述べられているが、いずれも有力とはいえないという見解が示されている。Keir Elam, ed., Twelfth Night, or What You Will, Arden Shakespeare 3rd Series, William Shakespeare (London: Arden Shakespeare, 2008). ^ Shakespeare, William; Smith, Bruce R. (2001). Twelfth Night: Texts and Contexts. Boston: Bedford/St Martin's. p. 2. ISBN 0-312-20219-9. ^ Hotson, Leslie (1954). The First Night of Twelfth Night (First ed.). New York: Macmillan. OCLC 353282. ^ The production was extensively reviewed by Thomas Clayton, "Shakespeare at The Guthrie: Twelfth Night" for Shakespeare Quarterly 36.3 (Autumn 1985:353–359). ^ Gay, Penny. As She Likes It: Shakespeare's Unruly Heroines. London: Routledge, 1994, p. 15. ^ Gay, Penny: pp. 18-20. ^ Gay, Penny, p. 30. ^ Gay, Penny, p. 34. 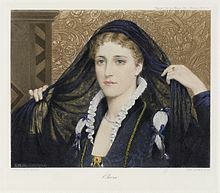 ^ Examined, for example, in Jami Ake, "Glimpsing a 'Lesbian' Poetics in Twelfth Night", Studies in English Literature, 1500–1900, 43.2, Tudor and Stuart Drama (Spring 2003) pp 375–94. ^ Vahimagi, Tise; British Film Institute (1994). British Television: An Illustrated Guide. Oxford: Oxford University Press. p. 8. ISBN 0-19-818336-4.